Hey Curvies! Happy Officially Spring!! Been waiting for this day to come to post this overly floral-ed outfit. If this doesn't speak spring to you, I don't know what else would. But seriously this jumpsuit puts me on full spring mood. Happy and colorful season full of blossoms and fun. 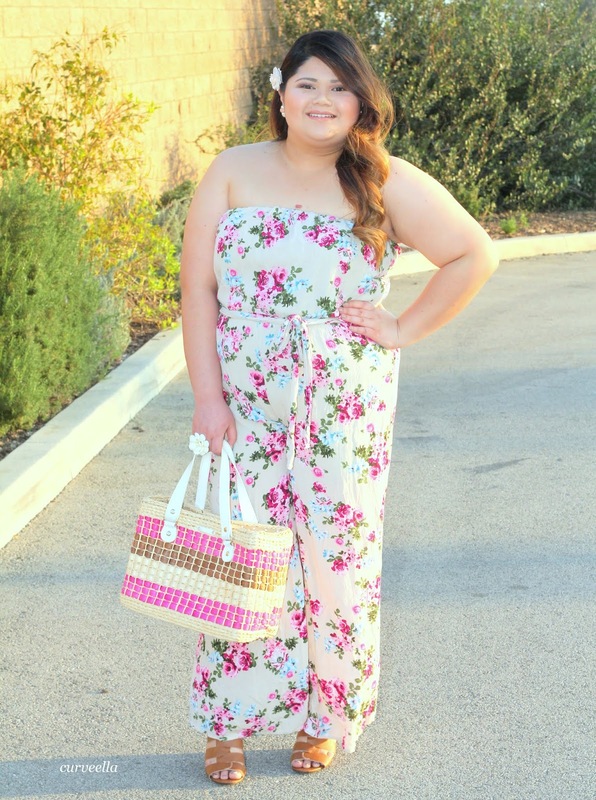 This jumpsuit is overly floral printed, others may think that it's a bit to bold to wear but for me this type of clothing makes a big statement and an easy stylish outfit to wear. Styling all of over printed clothes is real simple, neutral accessories and shoes are the key. Check out more of Assorted Flavas Fashion they've got an awesome and fun pieces.